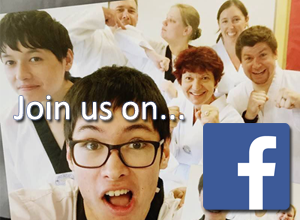 Even among martial artists who take their history seriously, there are many people who see martial arts history as nothing more than an interesting diversion–a distraction from real training. They have a point. The best way to gain skill is to train. But understanding your history is certainly not useless! Here are four ways that knowing your history can help you in your training. 1. Technical details are sometimes recorded but no longer taught. There are many specific instances of forms applications being recorded in old texts, but here’s a more in-depth example that I learned by paying attention to Iain Abernethy. Suppose you are practicing Jindo. You might know the form well from many repetitions, and you might have the conditioning and balance to perform it well. You might also have a good sense of how to analyze a form. The original applications are lost to time, so it is often left to the student to make interpretations. In this, a little history can help a lot. Jindo is the Korean version of Chinto, a form created by Matsumura Sokon. Matsumura was the martial arts instructor and bodyguard to the king of the Ryukyu islands. The king sent him to deal with a shipwrecked sailor by the name of Chinto, who had taken up residence in some local caves and had been stealing from farmers’ crops to survive. But when they fought, neither could defeat the other and they arrived to an agreement–Matsumura would take care of Chinto and help him get home to China in exchange for teaching him his techniques. He created the form to record what Chinto had taught him. From this story we can make some guesses to help with our interpretations. Since Matsumura was already the king’s instructor and bodyguard, he must have already been a very competent fighter when he began learning from Chinto, so we can eliminate any applications that are very common or basic. Consequently a student should not study this form too deeply until other simpler forms are well understood. We can also assume that there are no applications that are not highly effective in practical situations, as these would have been useless to Matsumura. We know from another story that Matsumura hated the flying front kick, and it is very weird that we see one in Chinto. It is very likely that this move is a modern development. 2. Understanding the roots of your art can help you optimize your cross training. 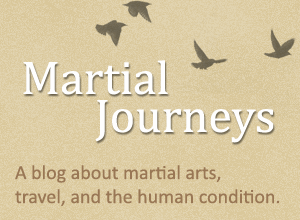 Many martial artists cross train in other arts. Usually they do this to cover material that is excluded or minimized in their regular training. There’s nothing wrong with that, but what a lot of people don’t realize is that cross training can also help you understand your primary art more deeply. 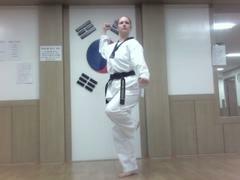 For example, I have studied Kang Duk Won taekwondo for years. By understanding its history, I know that it was founded by a student of Yoon Byungin. Yoon’s primary art was Chinese chuan fa, and his second art was Japanese karate. The influences of both on Kang Duk won are very obvious, and I have learned a great deal about Kang Duk Won by cross training in karate. Sadly, it is impossible to do this with the art’s Chinese roots. “Chuan fa” is a broad term that encompasses far too many styles to even dabble in, and the specific style that Yoon studied is simply not known. There have been efforts to rediscover it, but no definitive answer yet. 3. Knowledge of the history of your art can open doors among its practitioners. 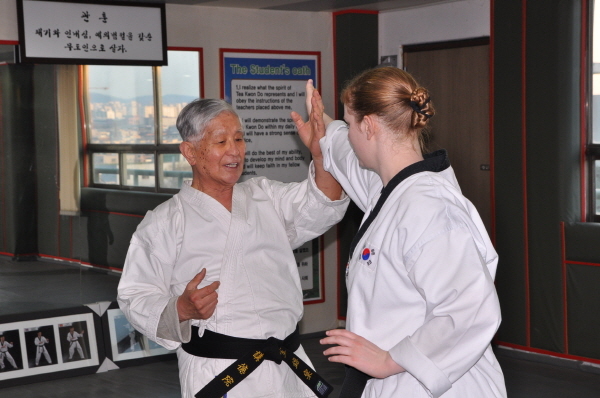 The first time I was in Korea, I met Grandmaster Park Chull Hee. I knew him only by his martial arts achievements–most notably founding Kang Duk Won taekwondo. I knew enough that I was able to seek him out, even though I had no contact information and he was retired without a school or a website. When I met with him, I was able to ask intelligent questions about the history of our art. I’ll never know for sure if that was a factor, but by the end of our meeting he promised to teach me. Without the history knowledge I had, I may never even have found him, and everything I have ever learned from him might never have come. 4. Your history can inspire you. 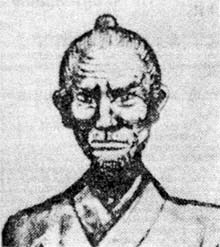 Grandmaster Park once told me a story about another instructor who forced his new students to sit outside of his house without food or water for three days. If they were able to do so without giving up, he would accept them as students and begin their training. Grandmaster Park said he never did that to his students, because it was harsh and unnecessary. He didn’t tell me whether this story was true or if it was more of a fable or legend, but ultimately it didn’t matter. After he told me that, standing in a deep stance for an impossibly long number of minutes didn’t seem quite so impossible. Because surely I was tough enough to pass the 3-day test, so this measly little stance drill should be easy! Every style has its stories–some true, some wildly untrue, and plenty in between. Take from them what you can, maybe knowledge, maybe inspiration, maybe something else entirely. All that said, no amount of history will help you without the practice to go with it. Happy training!